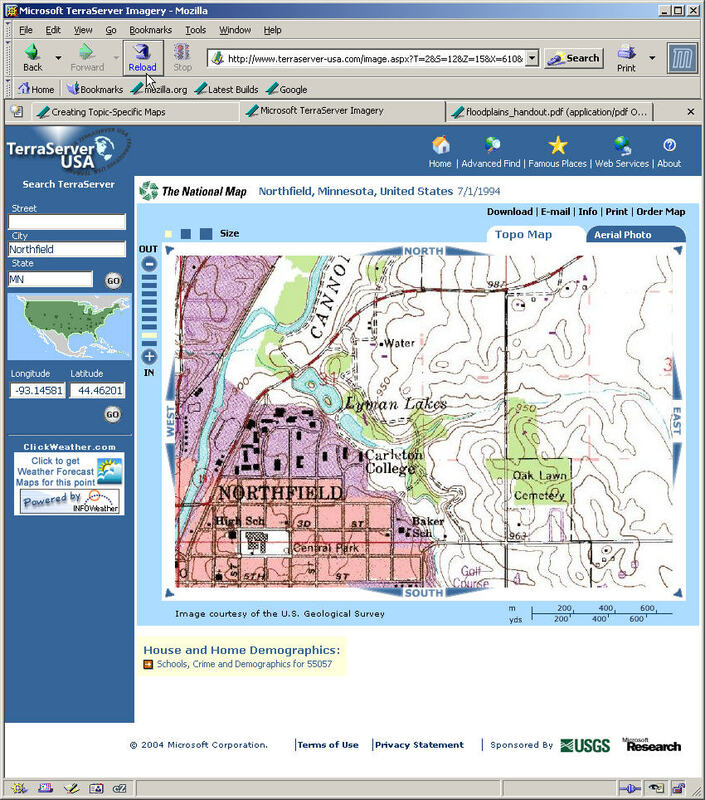 We can create specialized maps of lab or lecture sites within the United States using the Terraserver site, a collaboration between the USGS and Microsoft: www.terraserver-usa.com. 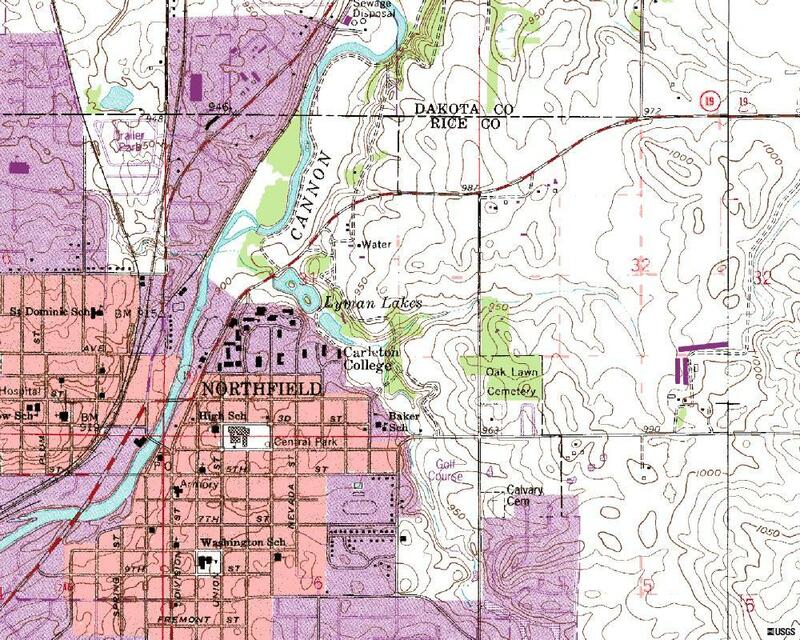 This site provides scanned and geolocated USGS topographic maps. The site seems to work equally well in all browsers and operating systems. The resolution and scale of the maps generated by Terraserver depend on how far you have zoomed in to your site of interest. 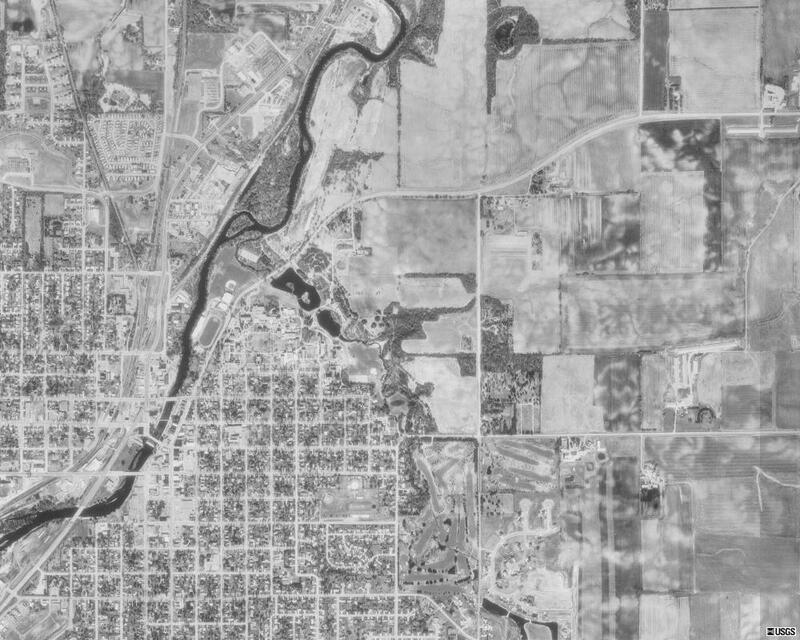 Within the Lower 48 states you can obtain 1:7,500 scale topographic maps and black and white air photos to resolution of 1 m/pixel. You can switch between air photo and topo maps for the same location and download both to JPEG files that can be loaded into word-processing, presentation, or image viewing/processing software. If you plan to use these images in a GIS program you can also download "world file" coordinates for both images. Online help is available to explain the user interface, but most aspects are self-explanatory. Note that if you use the text search you may see multiple options for air photos or topographic maps from different dates. Where available, these may provide options to examine geologic/surficial changes over time. To the left is a screen capture of the user-interface for the Terraserver website. Note text and map search options to left, zoom and map size controls, topo map/air photo selection, and download link. Small version of map is shown for convenience. Scale bar at lower right is not downloaded with images, but can be downloaded independently for use with map/photo images. Use the text search or graphical map search to find your area of interest (in this case "Northfield, MN"). Select the size of the map you want to view (bigger is usually better). Once at the desired scale, click on the "Download" link and then follow the directions to save the image from the browser. Simply switch to the air photo or topo map view to save the other image. Note that the scale bar on the website is a separate image and must be downloaded separately. The thumbnails to the right show full-size examples of the topo and aerial photo maps from the northeastern part of Northfield, MN. The scale bar image applies to both map images. It can be pasted into either map using basic image editing software. Note that the coverage areas of the maps are identical. All of the images were downloaded directy from the Terraserver site and saved to JPEG files (the scale bar is a GIF file). World File coordinates for the images are provided by the Terraserver site. If these coordinates are saved to files with names identical to the image filenames and a '.jgw' extension, they can be placed into GIS software. A script has been written to simplify downloading Terraserver imagery into ESRI's ArcView software. It can be found (along with documentation) at ESRI's Support site (more info) along with basic installation documentation. Knowledge of ArcView v.9 is assumed (an older version for ArcView v.8.x is also available ( This site may be offline. ) ). Be sure to use the data view mode to download the data; the script will not function in the layout (page-view) mode.